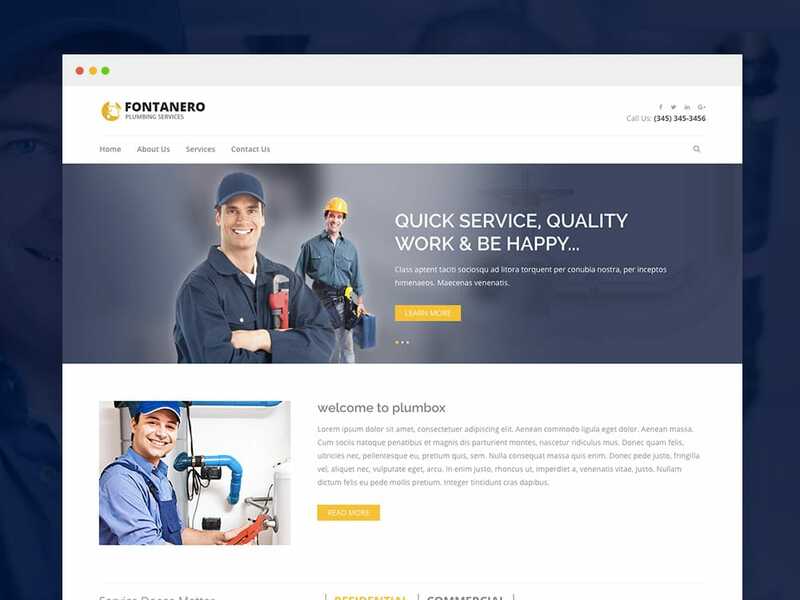 Fontanero is visually clean, deeply intuitive, profoundly designed, graphically charming, sufficiently powerful, technically sophisticated, efficiently crafted, vibrant, versatile, and simple Bootstrap template for plumbing construction and repair website. It’s the most impressive but the single responsive bootstrap template for plumbing service which comes for free. The exclusive product comes combined all the features that help to run Plumbing service and Plumber contractor website with fun. The responsive Bootstrap template offers animated slider, the details of contractor expertise, service showcases, standout service offers, call to action to request a quote, client showcase, contact form, Google Map, and essential multiple pages with the spacious footer. Fontanero is a complete solution to create a static website to provide residential, commercial and emergency plumber service. 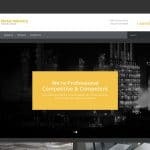 The plumbing construction & heating web template not only provides the exclusive possibilities to create a website for Handyman. You can craft website for Technician, Painter, Carpenter, Cleaner, Electrician, Building Construction, Civil Engineer, Chemical Engineer and more.